In the past 15 years, evidence has emerged on the role of social protection in mitigating older people’s vulnerability to the HIV/AIDS pandemic in sub-Saharan Africa. In particular, evidence on older people as carers of orphaned grandchildren revealed their extraordinary commitment for their families, as well as their severe vulnerability, and highlighted the lack of evidence on older persons’ living conditions, especially in rural settings. A case study from Kagera, Tanzania, highlights the special vulnerability of older people, the strong impact of social pensions and the importance of a rights-based approach in designing these social pension programmes. In the 1980s, Kagera was one of the first regions in sub-Saharan Africa to be affected by the HIV/AIDS pandemic. Initially, relief efforts focused on treatment people living with the virus as well as help for surviving younger family members. It was not until a decade later that the severe effects of the pandemic on older people were acknowledged. In 2003, Tanzanian NGO Kwa Wazee (Kiswahili: for older people) began a small-scale pension programme in the region to respond to a crisis of acute poverty among older people —due in part to the HIV/AIDS pandemic — which had become evident in programmes to support orphaned and vulnerable children. A 2007 study of 108 Kwa Wazee pensioners selected at random shows the extent of the weakening of traditional support system for older people over the past several decades, which has led to increasing levels of insecurity. While on average, female respondents had given birth to six children, with over three surviving; most lived in poverty, had migrated or were incapable of sufficiently supporting their parents. Seventy-seven percent of respondents expressed that they received little or no support from their children. In addition to the weak family support systems, many older people were responsible for providing care for grandchildren who were orphaned or vulnerable due to the spread of HIV/AIDS. According to sources such as UNICEF, up to 50 percent of orphans in sub-Saharan Africa were raised by their grandparents. Kwa Wazee’s pension programme began by making a regular cash transfer of approximately USD 5 monthly, predominantly to older women. Those who were main carers of orphaned children also received child supplements. Most programme participants at least doubled their available cash. For some, the pension was their only regular source of cash income. The impact of the regular cash transfer was significant and immediate: participants reported access to greater quantities and more varied types of food, being able to acquire basic household products, less begging activity and reduced need for emergency sales of assets, among other positive outcomes. When older people were asked about the biggest difference the pension made in their lives, they most often expressed that they now were able to buy “salt and soap”. Salt referred not only to greater food security, but also more choice in the types of food participants were able to eat, as well as a reciprocal process where salt was shared with neighbours; soap not only meant better personal hygiene and general improved cleanliness, but also, greater self-confidence and social inclusion. The programme also had an effect on pensioners’ psychological well-being: beneficiaries reported lower stress levels, less anxiety, dignity and pride in their coping mechanisms, and an ability to plan for the future. Stabilized livelihoods, stronger resilience and an improved psychological mind-set facilitated complementary programmes to strengthen older persons’ capacity for self-help. Despite the recognized vulnerability of older people, especially those living with or affected by HIV/AIDS, there are still few programmes and organizations which focus on the specific needs of older people. A screening of 6,000 projects from 2010-2011 by HelpAge International and Handicap International revealed that only about one percent target older people. A human rights-based approach to social protection means that governments are duty-bearers with an obligation to provide social protection to older people affected by HIV/AIDS, rather than relying on NGOs such as Kwa Wazee to fill in coverage gaps. The principles of universality, non-discrimination and preservation of dignity and autonomy should be considered in the design of rights-based pension schemes. By contrast, due to limited resources, Kwa Wazee used targeting methods to reach the most vulnerable. Despite the attention paid to selecting beneficiaries, monitoring and evaluation studies revealed that none of the various selection procedures could adequately respond to a situation where most of older people were in urgent need of support. A remarkable attitude shift can be observed in how older people perceive a social pension: At the beginning of the programme, some participants saw themselves as privileged to receive a pension, some referring to themselves as having been “selected by God”. However, as time went on, more often the discriminatory aspect of selection was emphasized, with programme beneficiaries stating that “they are pointing their fingers at us” (in reference to neighbours who were not selected). Programmes such as pensions prove to be the single most important component for the social protection of older people and their dependents. Making a distinction between the ultra-poor and the poor through means-testing fails in a context of widespread poverty. Means-testing can lead to discrimination, not only against those who are excluded but also among beneficiaries. Access to health care remains a critical issue for older people even if supported by a pension. Social protection leads to greater social inclusion, allowing older people to remain active members of their community. A number of African countries have begun introducing national pensions schemes. In April 2016, Zanzibar, a semi-autonomous part of Tanzania, launched a universal pension scheme for citizens age 70 and older. Beneficiaries receive a pension of TZS 20,000 (USD 9). Currently, around 25,000 people are enrolled in the programme. While it is an important first step in reducing poverty in among older persons in the region, changes such as lowering the age of eligibility would go a long way to increasing resilience. Stefan Hofmann studied languages and organizational development in Bern and Basel, and has experience working in various fair trade and aid organizations. 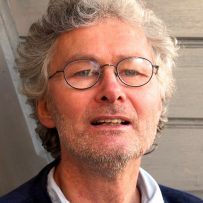 Stefan is a founding member and board executive of the NGO Kwa Wazee in Switzerland. He has coordinated and co-authored various studies on the impact of pensions or emergencies for older people.